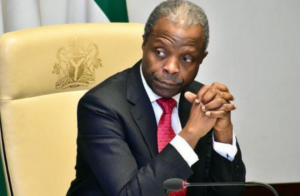 The Vice President, Prof. Yemi Osinbajo, Ogun State Governor, Ibikunle Amosun and other prominent Nigerians have urged Nigerians to shun divisive tendencies but embrace efforts aimed at fostering peace and unity. They made the call at the 66th edition of the annual Jalsa Salana (annual conference) of the Ahmadiyya Muslim Jama’at, Nigeria, in Ilaro, Ogun State. According to the Vice President, the Ahmaddiyah Jama’at has over the years demonstrated to humanity how peaceful atmosphere could be maintained in communities and the country at large. He said such demonstration is worthy of emulation by all and sundry. “There are those who are out to divide us, using religion. Some are using ethnicity. But we all have a duty to reject these people and their antics. We must learn how to live in peace with one another and uphold unity as against division,” he said. Governor Amosun, who was represented by the Speaker of the State House of Assembly, Prince Suraj Adekumbi, urged the Ahmadiyya jama’at to sustain its peaceful co-habitation with all and sundry while maintaining every effort that engenders peace and stability. The Amir of the Jama’at, Dr. Masu’ud Fashola, called on political office holders to avoid acts capable of creating chaos among the populace.